Shinola's slick style and outstanding build quality can't make up for the Canfield Pro's sonic shortcomings. Detroit-based Shinola is back. 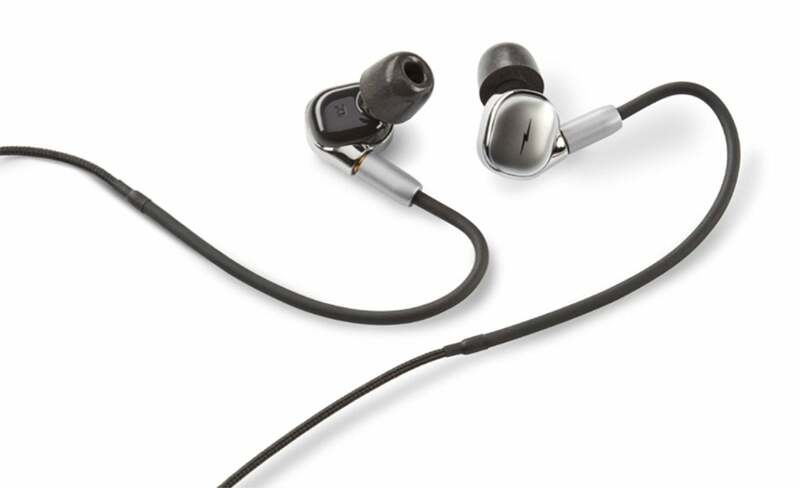 The company, whose diverse product portfolio includes watches, leather bags, and audio gear, is expanding its audio portfolio with the Canfield Pro In-Ear Monitors (IEM). 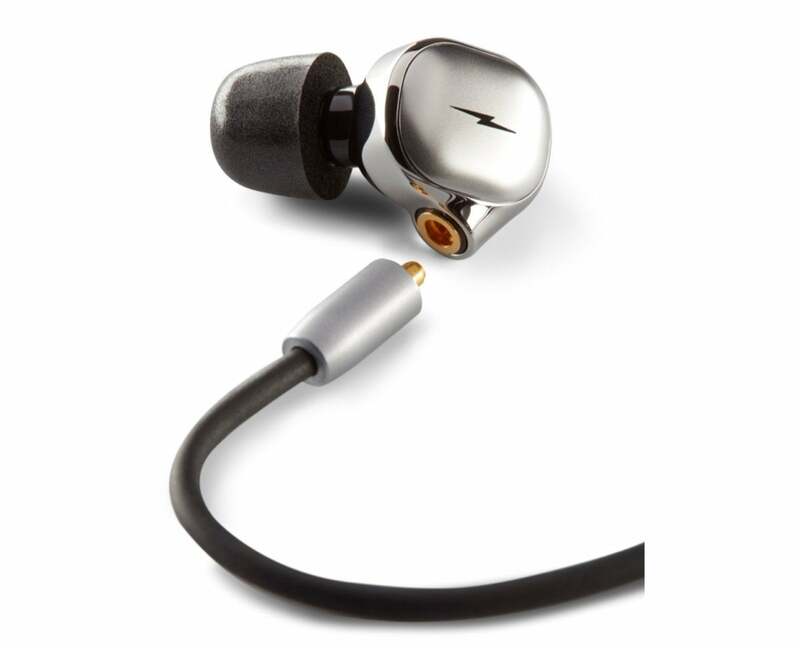 Shinola says that the Canfield Pro IEMs were developed in conjunction with Campfire Audio. Like their larger sibling, the Canfield Over-Ear Headphone, the Canfield Pro IEMs display outstanding build quality and exquisite styling. In fact, build quality and styling were the first things that caught my eye when I unboxed and held the Canfield Pro IEM's for the first time. Even though there's substantial weight and balance to these headphones, they never felt fatiguing while I wore them. The cable is a thing of beauty. It's supple with a smooth nylon braid, making it virtually tangle-free no matter how many times I stuffed the Canfield Pro IEMs in my pocket. Furthering the quality argument, the nylon braid's entry points are reinforced with heat-shrink rubber. 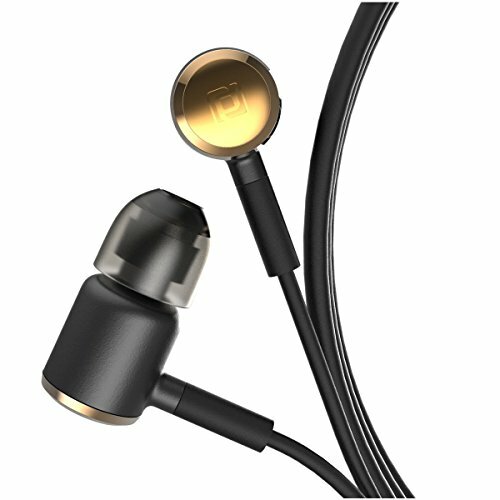 Speaking of rubber, the ear-loop portion of the cable is coated in rubber to provide a secure fit and feel. I never had any concerns or problems with the headphones coming loose or falling out. A close-up look at Shinola's Canfield Pro IEMs and their detachable braided-nylon MMCX cable. The detachable cable conforms to the MMCX (Micro Miniature Coax Connector) standard, so you can use any other compatible MMCX cable. Should the cable fail or wear out, you can replace it. The left and right monitors naturally swivel at the MMCX connector point. That allowed me to make micro adjustments to their fit. The monitors themselves, the inline remote, and inline microphone are all metal. There's no cheap plastic here. The left and right monitor portions have alternating brushed and shiny sides, creating a stunning look. The 3.5mm metal jack has an additional rubber strain relief that will help prevent you from accidentally kinking or damaging the cable at the jack's neck entry point. The Canfield Pro IEM has a detatchable MMCX cable. The inline remote is simple to use and operate by touch. The protruding volume buttons are large ovals, while the play/pause button is a smaller circle between them. Depressing the controls gives you a confident feel and produces a light click you can hear and feel. Smart controls worked as advertised, including Siri. I also used the Canfield Pro with several phone calls, and they performed admirably on every call I made. Three sets of memory foam and three sets of silicone tips are included. Under the hood, the Canfield Pro IEMs feature two balanced armature receivers: a bass woofer and a mid high-range tweeter. In case you're not familiar with a balanced-armature architecture, it relies on an electrical signal to vibrate a small reed or paddle thousands of times per second. The reed is “balanced” between two magnets, hence the name “balanced armature.” Armature drivers were originally developed for hearing aids. 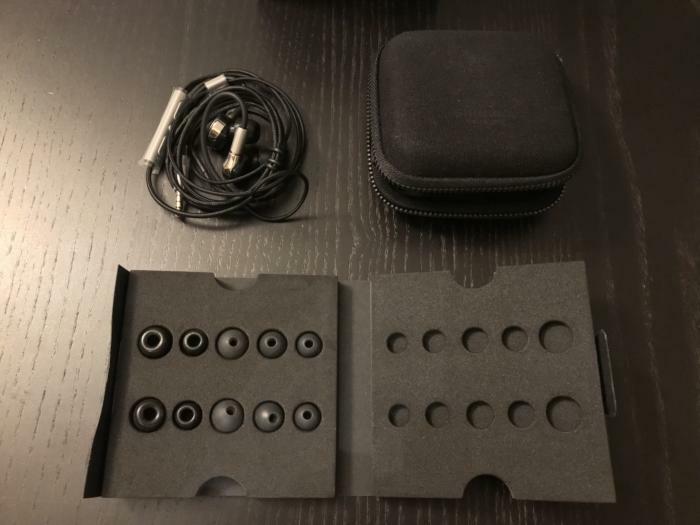 The Canfield Pro IEMs includes a cloth-covered, hard-shell carrying case. There's nothing dainty about the square-shaped carrying case's zipper. You feel its grips as it glides. The case doesn't open flat. Rather, it opens only partially, in a Pac Man-like appearance. 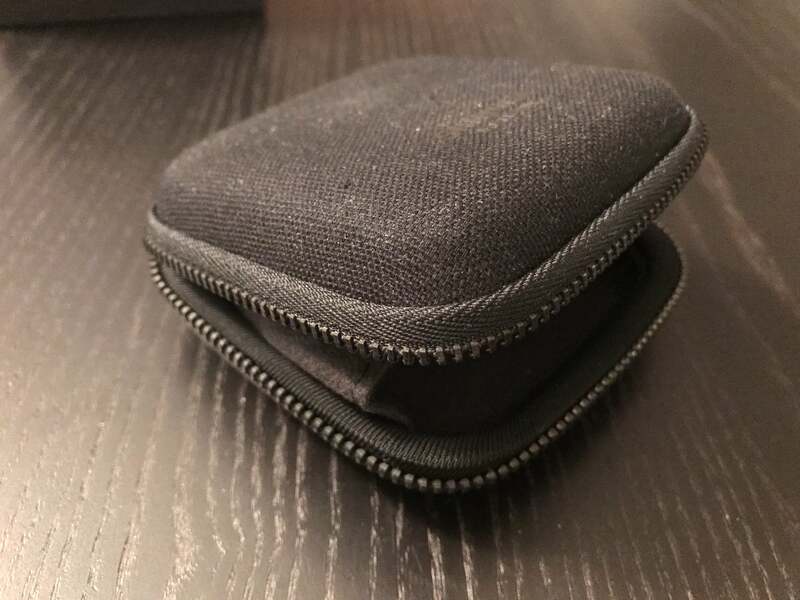 The hard-shell case opens only partially. Three sets each of silicone and memory foam tips are included. 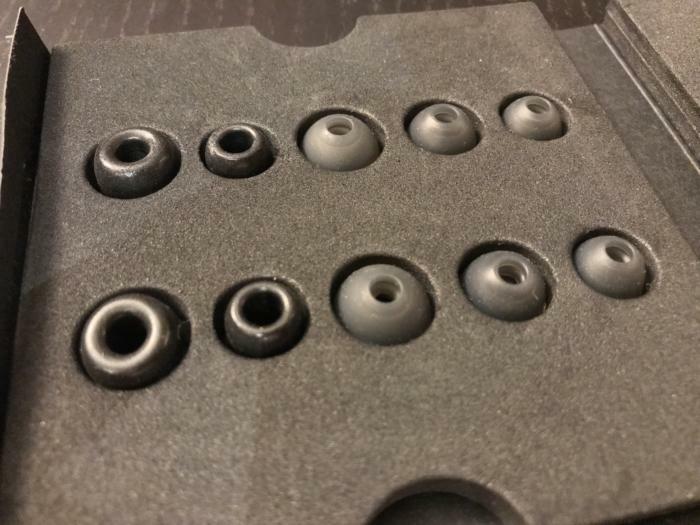 Unsurprisingly, I found that the memory foam tips provided the best noise isolation. They did so at a penalty, however, unnaturally raising the Canfield Pro IEM's bass and lower mid-range frequency response. That's a typical trade-off with memory foam tips. I didn't care much for the silicone tips. I found it difficult to get a good seal no matter which of the three sizes I used. I spent several seconds adjusting the silicone tip angle and fit. 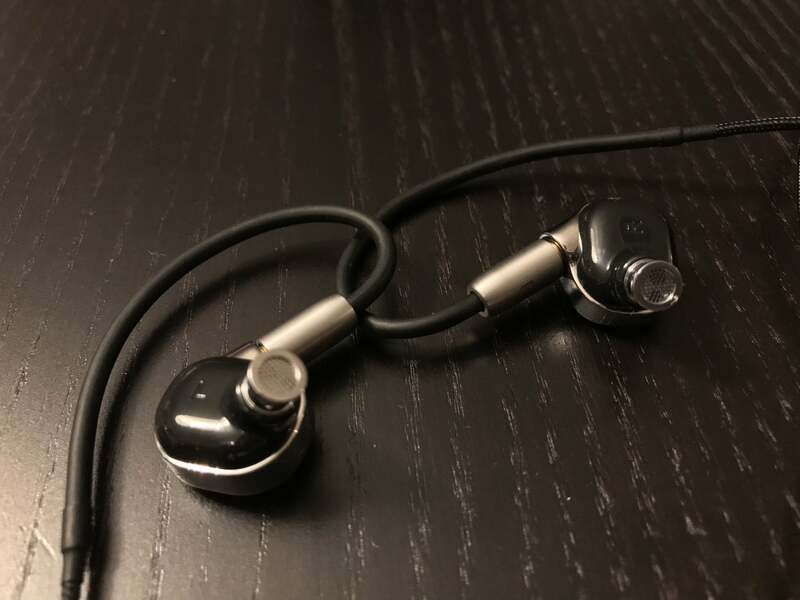 Comparing the Canfield Pro tips with others in my headphone collection, the included tips were more tapered, as opposed to the flat-top tips included with other IEMs. Swapping out the Canfield's included tips with those from the Periodic Audio Be provided a night and day difference in the Shinola's fit. I think the folks at Shinola might want to revisit the shape of the included ear tips and either change them or include more options. 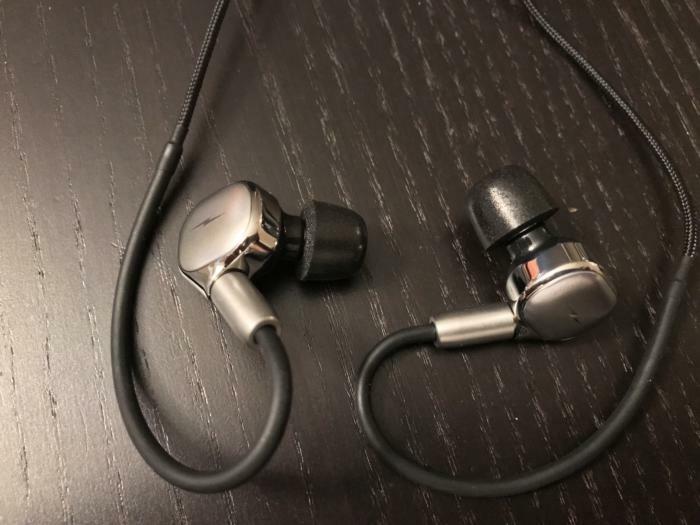 I tested the Shinola Canfield IEMs with Astell&Kern Kann and Fiio X7 MKII hi-res audio players and an iPhone 7. I played a mix of hi-res files in FLAC and ALAC, some lossy files encoded as AAC, and music streamed via Tidal. The Canfield Pro's voicing won't appeal to everyone. If you're expecting a revelatory sonic experience, you'll be duly disappointed. Sonically speaking, these are just average-sounding headphones. They certainly can't compete with peers at this price point. I had issues with just about every aspect of the Shinola's sound. Detail of the Canfield Pro monitors without tips. Most notably, the midrange was veiled on every song I played. Playing AC/DC's "Back in Black" via Tidal was like I was listening to vocals and instruments through a barrier. Switching to another pair of in-ear headphones, such as the Periodic Audio Be or Astell&Kern Billie Jean, immediately lifted the veil. Piano notes especially were dull and uninvolving. For example, I cringed when I heard the opening piano strikes of Diana Krall's "The Look of Love" and Loren Allred's "Never Enough" from The Greatest Showman. The piano strikes lacked body, dimensionality, and crispness. Moreover, both Diana Krall's and Loren Allred's vocals were robbed of their rich, sultry character. The same was true of any female vocalist I played: Ariana Grande, Adele, Patricia Barber, and Bonnie Raitt, to name a few. Further, musical dynamics were restrained. On Journey's classic, "Any Way You Want It," drums, guitar riffs, and Joe Perry's vocals sounded constrained. The Canfield Pro IEMs sucked the life out of AC/DC's anthem, "You Shook Me All Night Long." Perhaps most disappointing of all, the bass lines that kick in at around the 1:15 and 2:00-minute mark of Keala Settle's "This is Me" from The Greatest Showman soundtrack were virtually non-existent. Accessories include a hard-shell case and different sized tips. I described Shinola's over-the-ear Canfield headphone as made for hipsters, not audiophiles. Unfortunately, I can say the same of the Canfield Pro in-ear monitors. They're beautifully designed, and they exhibit outstanding build quality. For some, that alone will justify the $495 price tag. But I found the listening experience to be a tremendous letdown. There are competing in-ear monitorings that sell for half as much that deliver superior sonics. They just aren't as stylish or as well built.